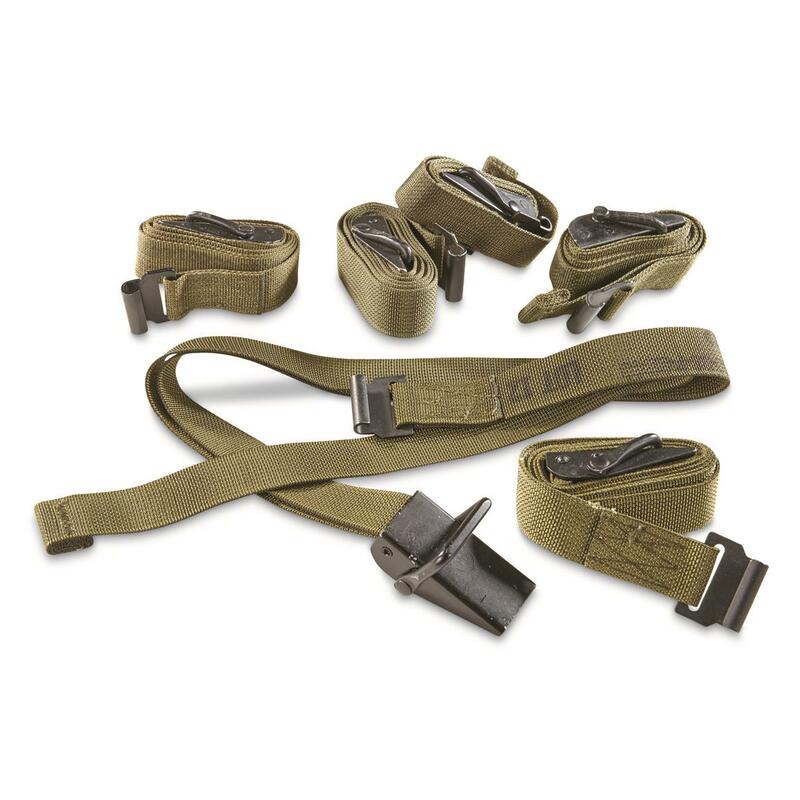 These used U.S. Military Surplus Cargo Straps are designed to be used with an ALICE pack to secure larger and heavier loads. Of course, if you don't have an ALICE pack, you can use them for fastening or tightening down gear for transport or storage. Made tough with nylon webbing and steel buckles/hooks to lock things down.